Sojourn invites Civil Rights Leader James Webb to speak on Martin Luther King Day. A workshop was held at First Presbyterian Church in Youngstown. Click here for a photo of the Workshop at First Presbyterian Church on Martin Luther King Day. 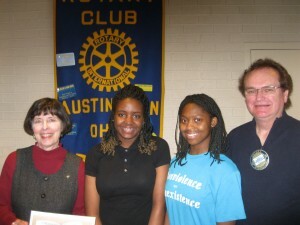 At the January 14 meeting of the Rotary Club of Austintown, Jerry Haber introduced Penny Wells, retired Youngstown teacher, who introduced two students, Michelle Morgan from East and Sarina Chatman from Chaney. They were among a group of Youngstown students who participated in Sojourn to the Past program last year, another group will go this year to the Civil Rights sites of the South. This is modeled after a California program that Ms. Wells became familiar with in 2006, but has adapted it to needs of the Mahoning Valley A group of 12 plus leader will fly to Atlanta, then use a van to visit Selma, Montgomery, Birmingham, Hattiesburg, Jackson, Little Rock, and conclude in Memphis where Dr. King was killed. Ten days is the duration of the trip, and because of their preparation and time involved, plus some academic work, students receive a social studies credit. Their goal is to learn about topics like tolerance, justice, non violence, progress and bullying. Following recent Sojourns, the students have done voter education and registration drives, and created a Non Violence week in October which has expanded from the city schools to include YSU, marked by a parade the past two years in Youngstown. 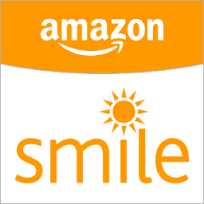 The group is now involved in fund raising for the next trip. Pictures and facts about the sites were shared.